Enter the Trippy, Fanciful World of Soviet Light Art Studio Prometheus #ArtTuesday « Adafruit Industries – Makers, hackers, artists, designers and engineers! Somehow, tucked into the Kazan Aviation University in Tatarstan, USSR, inside a Faculty of Radio Engineering, the Studio “Prometheus” explored experimental aesthetics. In short, while performing the complicated dance of keeping Soviet authorities and the KGB happy, Professor Bulat Galeev and his colleagues managed to create an enormous body of work in visual music. 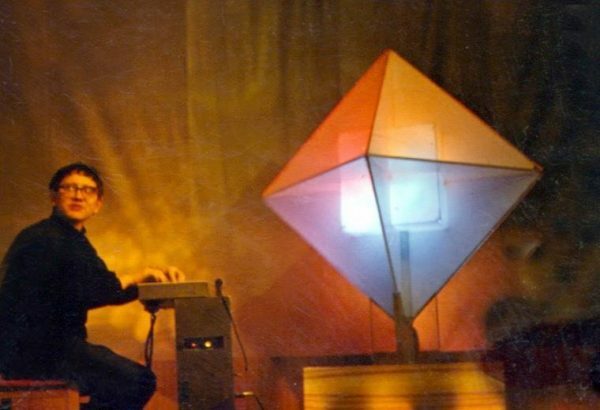 These projects included everything from small light organs to full-scale projections, in a seemingly endless parade of inventions. And lately, Russian and Western artists alike have been rediscovering them, thanks to ongoing curatorial work by Kazan’s surviving Prometheus Institute. So while a museum was lost, Galeev is gone, and some of the machines are destroyed or in non-working order, there seems to be an imminent rediscovery in the works. I expect that will range not only to the work in Kazan, but a full-on reappraisal of experimental aesthetics throughout the former communist sphere.